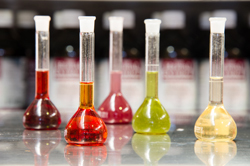 Drawing on more than a century of experience in herbal medicine, we have achieved a unique Continuous Flow Cold Percolation manufacturing process that mirrors the natural, balanced phytochemical profile of the original dry herbal material. Traditional herbal medicine is based on the premise that the medicinal activity of herbal products is not due to a single chemical but the combined effect of all constituents. Even in today’s highly sophisticated and technically advanced scientific world, many of these constituents or chemical compounds are still unidentified. However, when extracted in a balanced way, the synergistic activity of all the constituents allows the key compounds to work effectively. We firmly believe that the biochemical equilibrium within the herb must be maintained, as this has proven effective throughout the ages to both heal our bodies and sustain good health. We maintain that an active ingredient can lose its impact or become less safe, if used in isolation from the rest of the plant. The effect of the whole plant is greater than its parts. 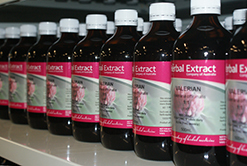 Manufacturing high quality 1:1 liquid herbal extracts is labour intensive and challenging. However, at The Herbal Extract Company of Australia we don’t see any challenge as being too great and remain committed to the manufacture of full spectrum 1:1 fluid extracts, as presented to us by nature.